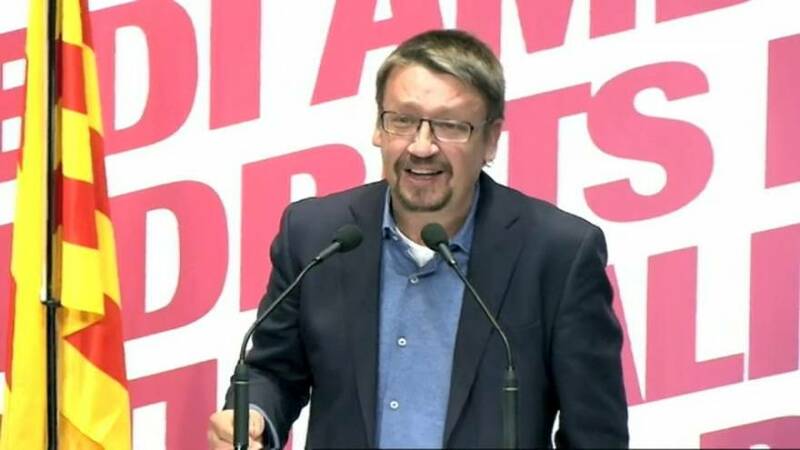 While the Catalan version of the leftwing Spanish Podemos party is not expected to win more than 10 seats in Parliament, its number one candidate, Xavier Domènech, has perhaps been an overlooked figure in the Catalonian electoral campaign. The 43-year former historian came into politics in 2011 as austerity measures introduced during Spain's deepening economic crisis increased inequalities. And so it was that Podemos, a far-left, anti-austerity party was born in January 2014. This led to the symbolic moment of the kiss on the lips in Congress with Podemos leader, Pablo Inglesias in 2015. But the Catalonia in Common coalition has more power than may seem. It’s refused to position itself in either the pro-independence or unionist bloc, so if no one party gets the majority, its support could be crucial. “We are the key, so that people don’t have to choose between one bloc or another,” said Domènech, as he addressed a packed outdoor meeting in Barcelona ahead of Thursday's defining election in Catalonia. It's a key that the Domènech does not intend to give to anyone: neither the Ciudadanos - who are predicted to get the most votes - or any of the parties that supported the application of article 155, which stripped Catalonia of its autonomy. But Domènech also refuses to govern with the Catalan Democratic Party (PDeCAT ) and instead advocates a left-wing alliance across parties that both back and reject independence - the pro-independence Republican Left, the Socialists and his own party. According to the polls, Domènech’s party has been inching its way up the rankings and there remains a real chance that Comú could hold the balance of power. If they succeed, Domènech hopes that Catalonia may take a turn to the left, with policy focused on social, not sovereignty, issues.